Your knees ache. Maybe they have for years and have gotten progressively worse from the wear and tear of osteoarthritis, or a recent injury is causing swelling and stiffness in your joints. If you have lived with pain long enough, you may feel as if you’ve tried everything—medications, shots, therapy and even surgery—and are still looking for ways to manage knee pain. 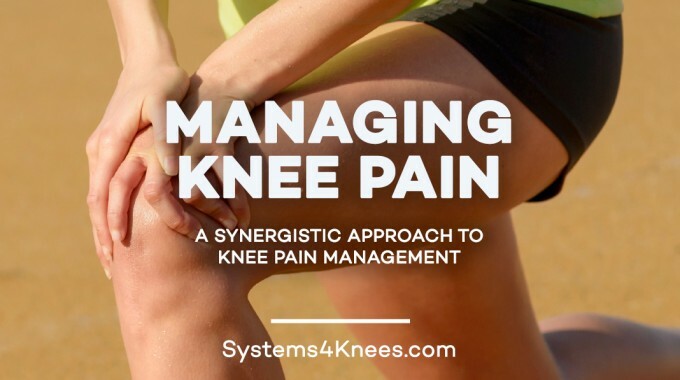 Regardless of how you got here or what you have done to in the past, there is a better approach to managing knee pain. The answer is that there is no single way to manage knee pain. 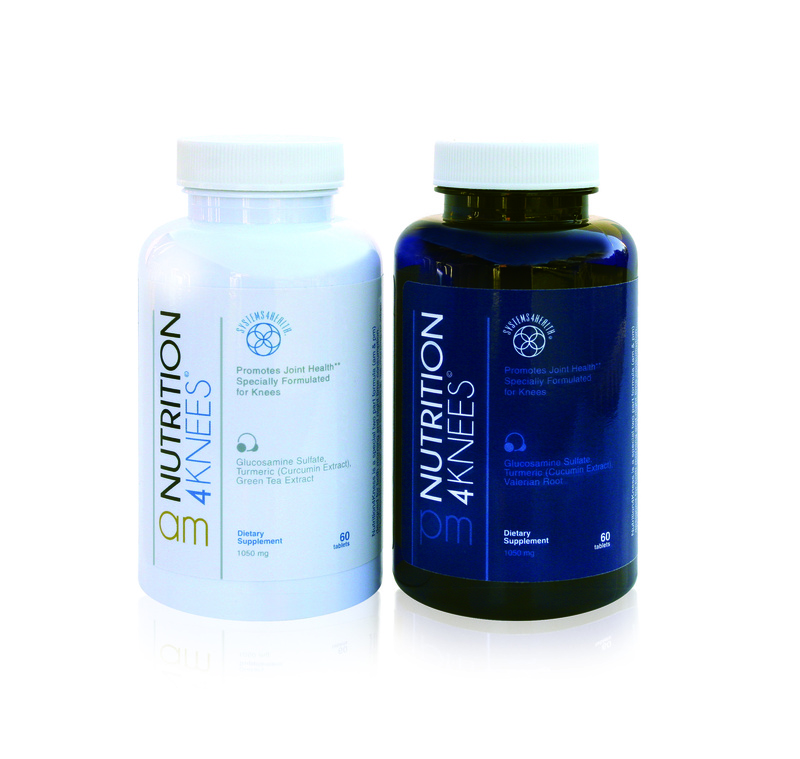 Instead, effective pain management comes from a synergy of four equally important components: education, nutrition, fitness and support. Lifestyle changes made in isolation may have some impact on pain, but with a focus on simultaneous changes, you can achieve dramatic results. If you don’t have knee pain, this approach can be preventive, keeping your joints healthy, resilient and ready for the future. Beyond the obvious benefits to a lifestyle approach that is low risk and incorporates good health, another positive aspect of synergy is it gets you involved. By becoming an informed and active participant in your healing process, you can better communicate with your doctor and potentially make smarter choices in the future. Education. 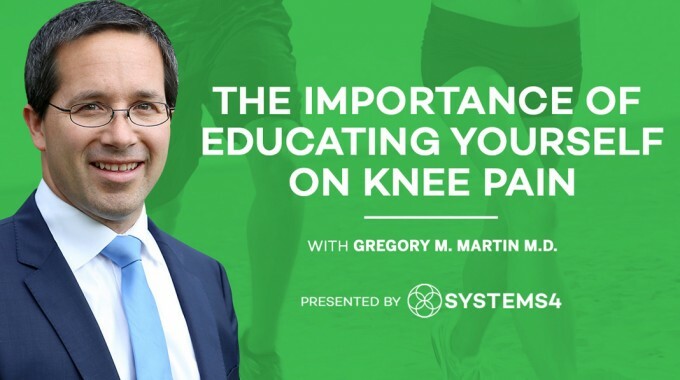 The knee is a complicated little mechanism, so intricately designed it’s no wonder it can easily go awry while enduring wear and tear over time. 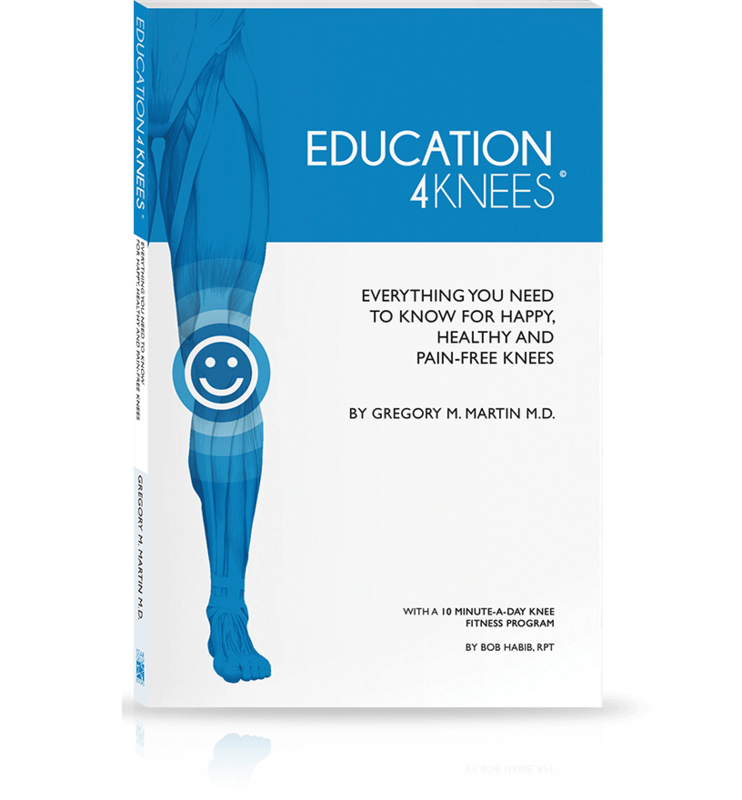 Get to know your knees—what causes them to break or wear down over time, why certain interventions can help ease the pain—and you can better protect them. With education comes an awareness of risk, an understanding of all potential outcomes and the power to pursue alternative options. By arming yourself with information, you can better communicate with your doctor, manage expectations and potentially make better long-term decisions. More specifically, certain foods can promote knee health while others are detrimental. 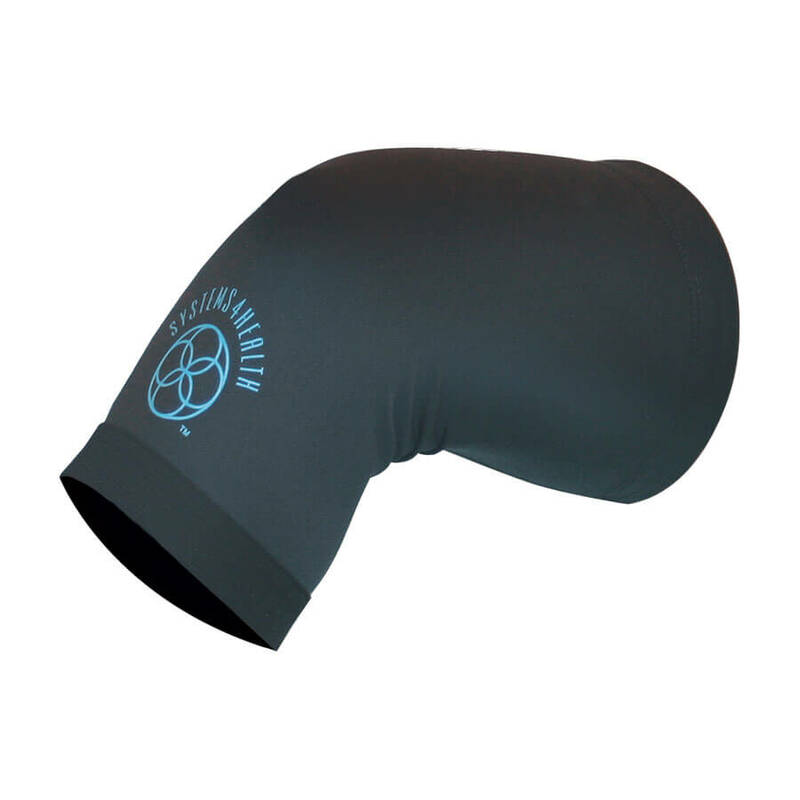 For example, water is crucial to keeping cartilage healthy and lubricated. 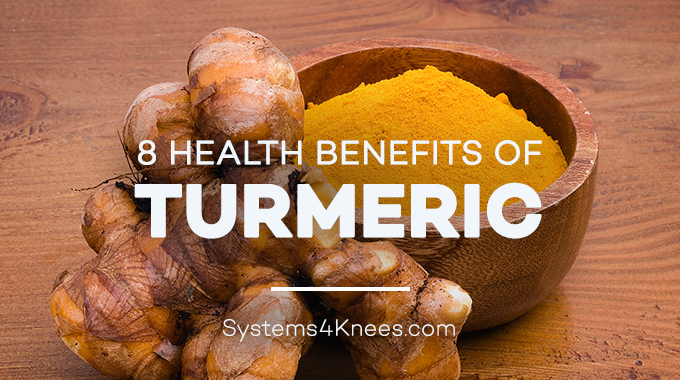 Spices like turmeric have been shown to reduce inflammation and pain in the joint. Other commonly cited inflammation fighters include berries, beans, leafy greens and salmon.3 Processed foods like wheat and white sugar can have the opposite effect and cause inflammation. 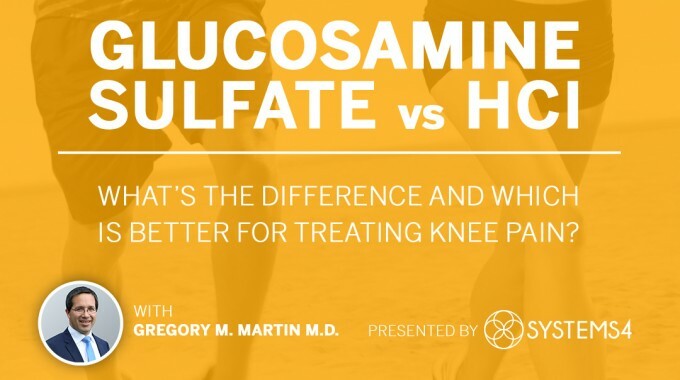 A natural supplement called glucosamine sulfate can also help in the treatment of osteoarthritis. Being more mindful of what you put in your body and what to avoid can give you some amount of control over your pain management. Fitness. Exercise is one of the safest, most natural, proven “medications” for knee pain. It can also help increase your mobility and brighten your attitude. Study after study shows that exercise benefits people with knee pain. It strengthens the muscles around the knee, improves joint support, builds up endurance and increases range of motion. Even if it hurts a little, some kind of exercise is better than none at all. If it hurts a lot, you should reevaluate the type of exercise you are doing. A balanced fitness program should include cardiovascular activity, balance, flexibility and meditation. Working with your physician, you can develop a fitness program that makes sense for you, whatever your current fitness level. Even just a few minutes a day focused on the right exercises can make a difference. Support. This category includes assorted easy, low-risk interventions that can bolster your progress in other areas. 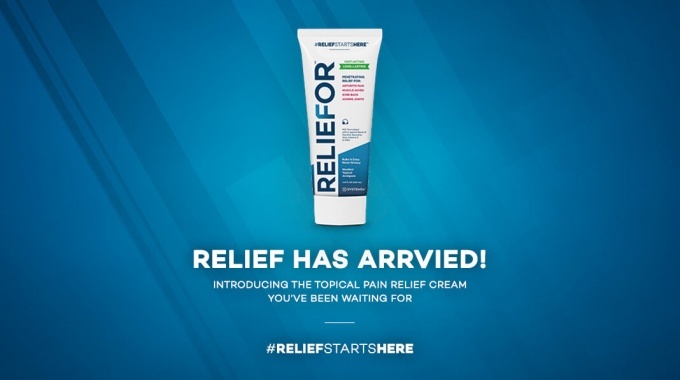 Topical treatments like lotions and creams, specifically chemical-free options with a menthol base, can be applied directly on the painful area and offer immediate relief. Compression from support braces and garments can help hold the knee in place and relief pressure when walking or exercising. Even over-the-counter medications can be used at times to help with swelling and inflammation, but these should be used with caution as they are not without their side effects. 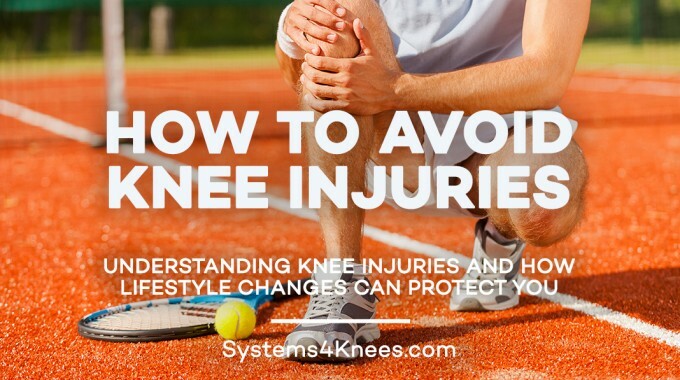 Systems4Knees can help bring all of these elements together into one plan. Our unique program guides patients through a process of learning and lifestyle changes that can change your life. Before considering surgery or dramatic pain interventions, forge the easier path of education, nutrition, fitness and support. Centers for Disease Control. “Arthritis Frequently Asked Questions – General Public.” (March 22, 2015) http://www.cdc.gov/arthritis/basics/faqs.htm#Is exercise recommended for people who have arthritis?